The A Resource Record is the most important record type of DNS. The A Record translate domain name into IP address. This record provide the corresponding IP address of each computer (host) on the Internet. When your computer get the IP address of a host, then they can communicate with each others. Let’s explain the above A Records one by one. This line specify the IP address of the server of YourDomain.com is 123.120.110.1. When your computer send request to the above Nameserver, asking for the IP address of YourDomain.com. The Nameserver will answer the IP address (123.120.110.1) of YourDomain.com to your computer. When your computer get the IP address of YourDomain.com (123.110.110.1), your computer can then connect with and communicate with the host server (123.110.110.1) of YourDomain.com. The meaning of this line is same as the first line. With this line, you can use http://YourDomain.com or http://www.YourDomain.com to browse the website of YourDomain.com. 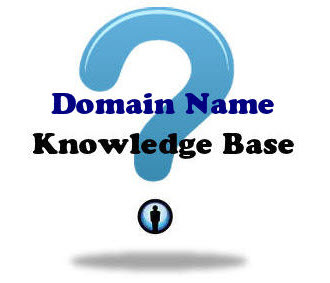 There are many domains on the Internet without this line therefore they can only be access with http://www.xxxxxxx.com. mail1.YourDomain.com server (Mail Server) with IP 123.120.110.2.
mail2.YourDomain.com server (Mail Server) with IP 123.120.110.3. However only these two lines cannot receive emails sending to @YourDomain.com. They must configure with the MX Records discuss in the next chapter. This is the IP address of Primary Name Server that save the DNS Zone File of YourDomain.com. This is the IP address of Secondary Name Server that save the DNS Zone File of YourDomain.com.